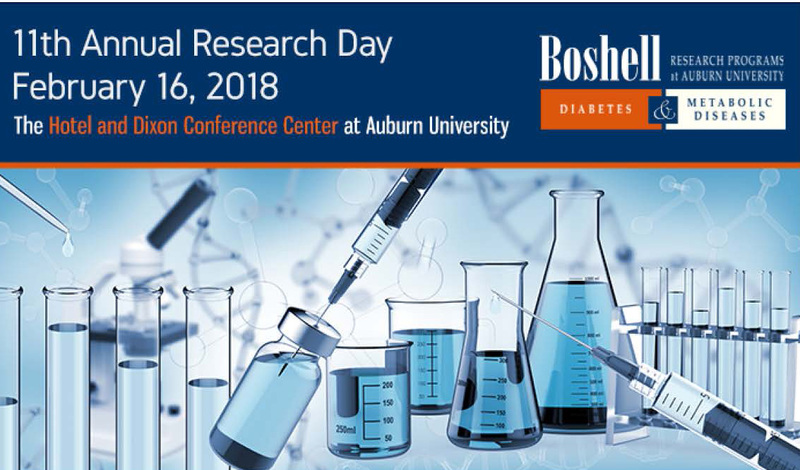 The development of a pioneering artificial pancreas system and other important diabetes research updates are the focus of the Boshell Diabetes and Metabolic Diseases Research Program at Auburn University’s 11th Annual Research Day Friday, Feb. 16 at The Hotel at Auburn University and Dixon Conference Center. The event, which has grown each year, brings more than 175 researchers from throughout the Unites States together for a day of learning and sharing information about research related to diabetes and the role of obesity in its development. The day-long event includes research presentations, expert speakers, and culminates with a dinner and special guest speaker. This is now available as a diabetes treatment system on the medical market, Dr. Judd notes, but it was not before Ms. Lewis – herself a diabetes patient – developed it. She now heads the “Do-It-Yourself Pancreas System” program and founder of the open source artificial pancreas system movement. She will talk about her program following the event banquet Friday evening. The Boshell Diabetes and Metabolic Diseases Research Program at AU is dedicated to improving the lives of all people with diabetes through its research and associated interdisciplinary programs, Dr. Judd said. – College of Human Sciences – the impact of time-restricted feeding on diet-induced obesity; the impact of obesity on the development of Alzheimer’s disease. – College of Sciences and Mathematics – the impact of infection on metabolic demand; utilizing microfluidics to study secretion from adipose tissue. Registration for the event is still open. It is free for Boshell program members, and $125 for nonmembers. Students and postdoctoral fellows can attend at no cost. A program agenda and registration information is contained on the Boshell web site: www.auburndiabetes.com. Other speakers during the day-long program include Dr. Ajay Chawla, professor of Physiology and Medicine, Cardiovascular Research Institute, University of California, San Francisco; and Dr. Kamal Rahmouni, professor of Pharmacology, University of Iowa Carver College of Medicine.